If you’re going to be early to anything this week in Fremantle, make sure you’re early to Hidden Treasures – Fremantle’s winter music series. Otherwise, you might miss out on a seat for this year’s very special treat: a gig on the Fremantle Tram. There was a palpable sense of anticipation as we waited outside the Buffalo Club to board the first ever Hidden Treasures tram. The tram is not very big, so lots of people missed out on that first trip. We took off into the night with a rumble and a lurch. We didn’t have far to go – soon, parked down by the Fishing Boat Harbour, the lights glowing on the water, this little venue came alive. Ah, Perth, how you confound all expectations and surprise us – not just one or two of us, but thousands of us, your citizens, your old and young, your new arrivals and your home grown. Above your bright skyline where the neon of commerce and mining glow cruelly against the night sky, above where your humble ferries ply a bright-lit trade against river darkness, where your once-contested bridge sweeps arcs of headlights across the Swan, where your sea of suburban light reaches out to darkened hills – above it all as a yellow moon breaks free of clotted clouds, new light is created and thousands of us walk beneath its thrall in many footed darkness among strangers and among friends. Across the harbour I see a fin slice water, enough to keep my gaze. I’m not expecting much today: it’s muggy, no seabreeze to speak of, the water silver still. It seems to take only a second to cross the bridge when you’re not paying attention, but when you are, it feels like you have whole, multiple minutes. Precious minutes as the train takes you ever onwards and you’re waiting for another break in the surface of the water. Don’t have to wait long today – another fin slice then a leap, so quick and far enough away that you retain only the perfect image of the arched dolphin, dark against the water. And then, once you’ve rounded a bend and your view of the water is nearly at an end, three more – one dolphin after the other crests the water ever so slightly, barely breaking its silver surface. Another leap, quick and glimmering, brief suspension above the surface, belly glistening bright. 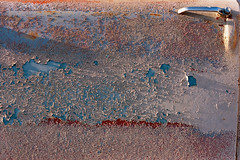 From the viewpoint of a train carriage of commuters at the end of a hot day, between car carrier and cargo vessel, between north wharf and south, you have this: tiny, distant silver dolphin bodies above silver harbour surface. It’s a smoky day and the western sky is red and grey. I drive away from the sun towards town. On a straight stretch on the lefthand road verge there is a kookaburra, upright, watching me pass. I slow, pass it without incident, wonder if it is sick because it does not fly away. On the way home I think of it again, decide to stop if it’s still there, to make sure it can fly – see if it will allow itself to be chased away. I pass a black cat on the roadside, eyes bright in the headlights. It stays clear. As I near the spot where I saw the kookaburra, I watch for it on the right. But something looms pale coloured and fluffy on my side of the road. It is too tall to be a dead bird, I think – but then I am close, and it is, and I drive over it, wheels to either side of it. I stop beyond it, park in the gravel, leave the dog in the car. With the vehicle off it is quiet and dark. There are the gentle rustles in the bush, the sense of the spaces of paddocks, the distant sound of the sea. There are no cars, no sounds of people. I walk back. It is surprising how far I have come, driving at 90, between deciding to stop and stopping. I can see nothing in the gloom at first, and then the pale shape emerges. I shine the torch. The kookaburra is on its side, one wing is extended to the sky. As I approach it waves a little in the breeze and I start: it seems alive. Closer, and I see its eye, the one not planted on the road, is open. The wing is fanned, as though in death one half of it continues to fly. The eye seems bright, alive. I turn the bird with a stick and its head flops, the brilliant wing falls. I roll it onto the gravel. Nearly a year on and it is early morning in the forest. 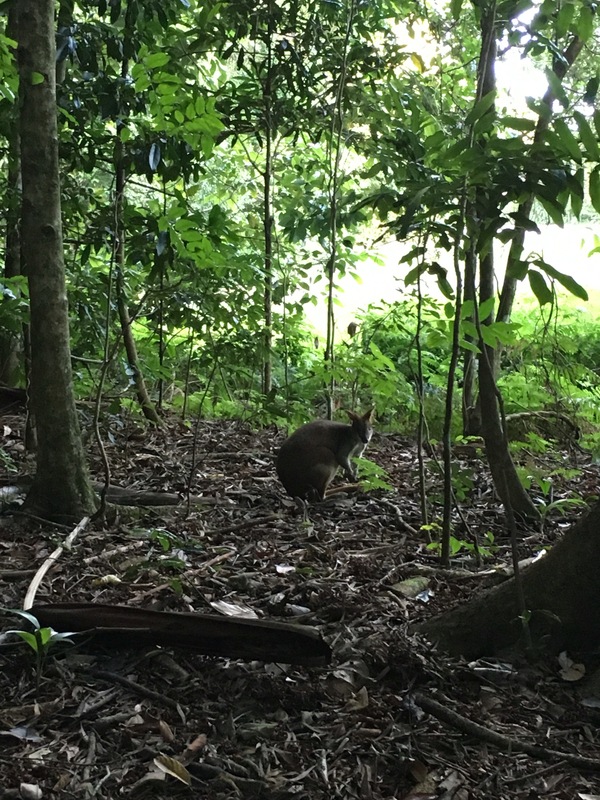 The kangaroo on the roadside, flat on its stomach, is fresh: there seems no hint of the roughness in the coat or the darkness around the eyes to signal the presence of flies and birds and beetles. I stop, and again the distance to walk back along the sloping shoulder is unexpectedly great; the forest unexpectedly quiet. 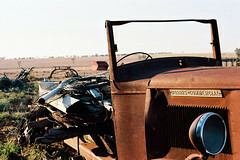 I spend so much time spent driving through quiet places with road noise and engine noise and conversations and music. Don’t spend enough time stopped to listen, with no cars to ruin it and no one to talk to. This roo looks as fresh as I thought, but it has grown stiff and feels hollow already. I lift one hind leg and roll it half over: it is a male. There is a small matting of blood on the other side of its body, mixed with faeces, involuntarily expelled. 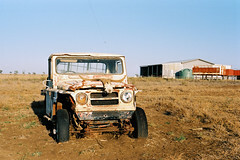 Crouched there on the roadside with the dead roo, its eye open to the sky, I am not sentimental. But it is powerful being close to wild death, with its sharp, immediate reminder of wild life. I remember others, with more sadness. A wombat, somewhere, years ago; such a solid creature. A small wallaby on the road to Meekatharra – this one we watched breathe its last. A wedge-tailed eagle on the Nullarbor, except this I don’t really remember at all; only my mother talking about it many years later. An echidna, feet to the sky, on the edge of the Hume Highway in Victoria. And always, with the animals recently dead, the sense as I walk to them along the gravel shoulder that they might jump up as I near them, just to surprise me. But they never do. 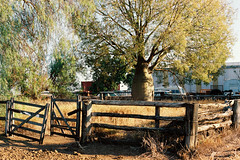 From the dry of Western Australia’s Swan Coastal Plain at the end of summer to the Sunshine Coast hinterland in Queensland – a long way and a world apart. 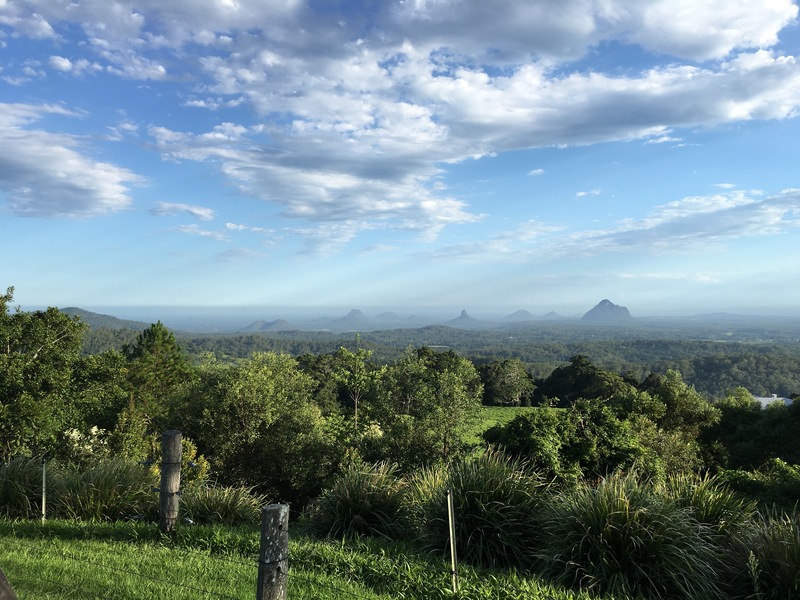 It’s a work trip, but nonetheless there is time for nature – mostly incidental, because in a leafy town like Maleny, in humid, bursting-with-life-Queensland, there’s bush and birds everywhere. The Glasshouse Mountains, seen from Maleny. 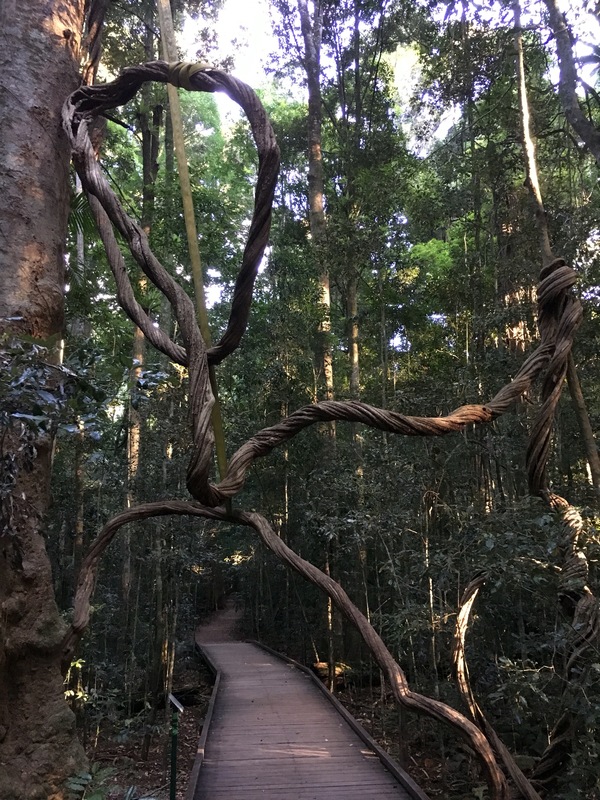 Mary Cairncross Park, with vines thicker than my arms. Birds everywhere – my colleague stops often to listen and point out their individual calls. Most of what we hear we do not see. Now, after a week of meetings I’m waiting at Brisbane airport to return to WA. 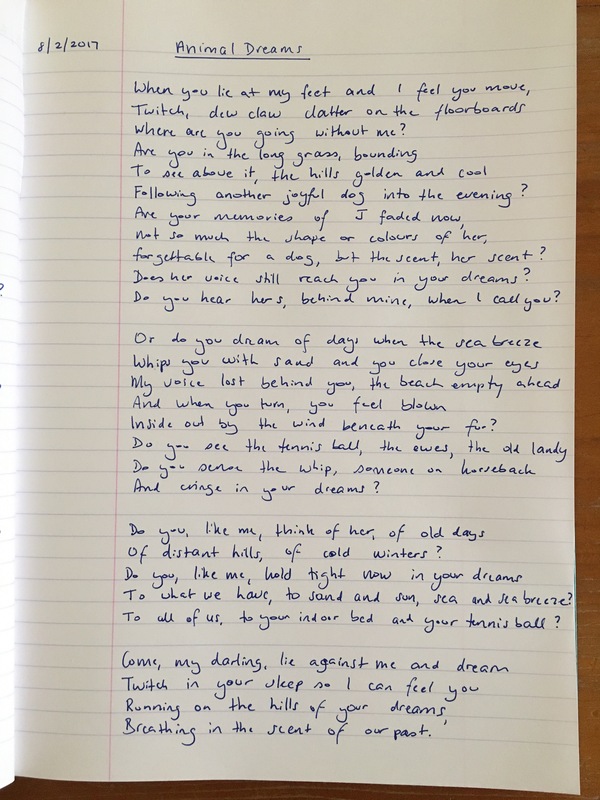 Conversations this week have brought to the forefront of my mind – once again – questions of connection to place. As always with new people, I must explain why I say I am “from” Fremantle, yet also “from” East Gippsland. Having many layers of identity when these layers refer to two different, faraway places seems odd to others. Often, it takes too long to really explain what I mean. According these two places the status of “I am from here” does not seem to do justice to either. For one, it neglects the years of family history that count for as much as my own years there. For the other, it neglects the choice to return, nearly two years ago now, many years after leaving for new places. Yes, to some degree I have come home, but the other home remains, the feel of the land there waiting to be recalled, remembered – revisited. I’m in the dining room of a lodge at Thredbo Alpine Village, watching sunlight fall in fast-moving patches down the face of the opposite slope, by turns illuminating the lines of the chairlift as strings of silver or softening the bush into shadow. Patches of bush are courted by blank grassy stretches, the long areas cleared for ski runs and now, in late autumn before the snow falls, criss-crossed by mountain bikes, walkers and maintenance vehicles. Coming to Thredbo was a result of going with the flow. A friend and I intended to go away – somewhere quiet – to write. She planned to work on her thesis and I to work on various writing projects. But her research into alpine invertebrates requires a bit more field work, so we came here, and while I spend time writing she is out at various spots along the Rams Head Range or the Dead Horse Gap Track, setting pitfall traps and photographing grasshoppers. 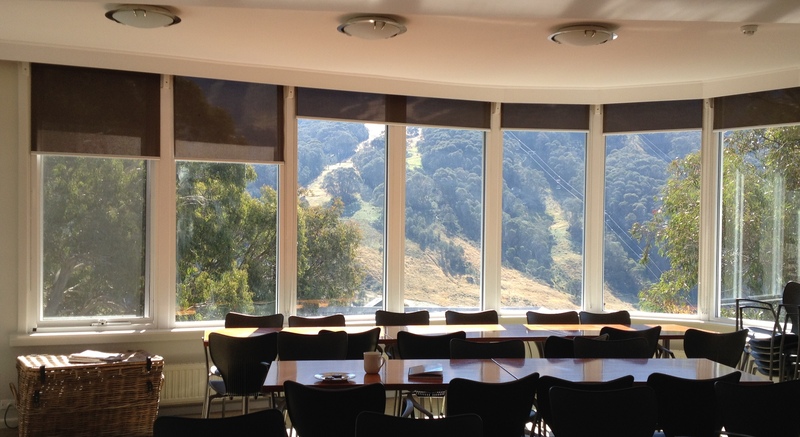 The dining room at the lodge with a view of Thredbo’s ski slopes. I have come here to write, but could not resist going for a hike, too – across the undulating alpine slopes from the top of Thredbo’s only summer-operating chairlift to the summit of Mount Kosciuszko at 2228m elevation. Kosciuszko is an easy-to-reach summit by the standard of world peaks: the chairlift takes you to an elevation of 1925m so it is a climb of 300m over an easy walk of less than 7km one-way. At the summit of Mount Kosciuszko. Nonetheless, walking to Kosciuszko’s summit felt momentous in the way of measurable achievements: it might be derided as a mere hill by the standards of mountains on other continents, but it remains Australia’s highest and it has an ancient geological history. 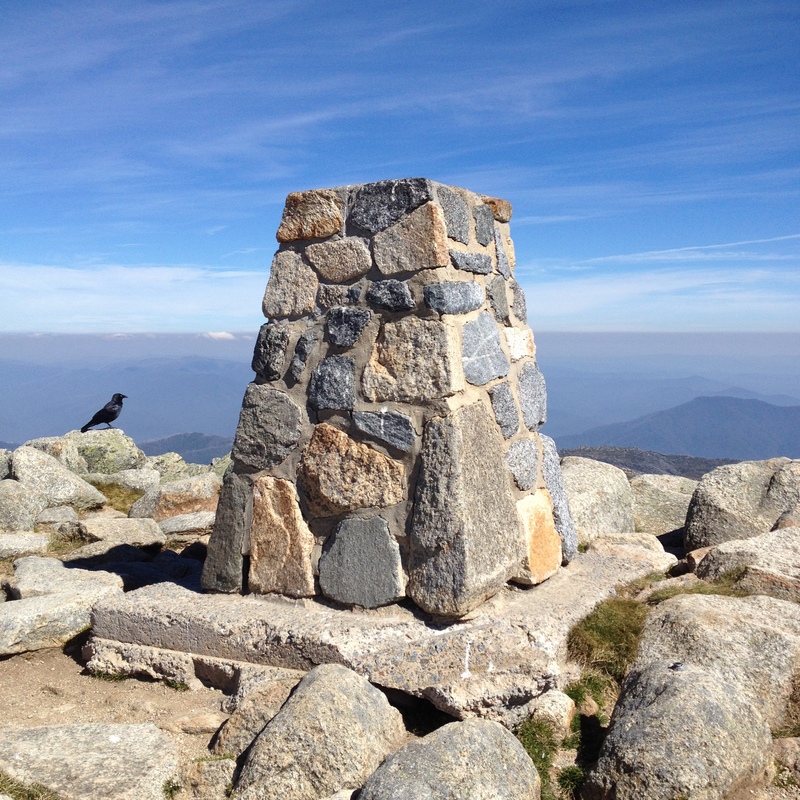 At the summit, it was noisy with the caws of the Little Ravens who gather on the rocky peaks to feed on Bogong moths. To the west, the Australian Alps lay in a smoky purple haze, layer upon layer of ridge fading into the distance. 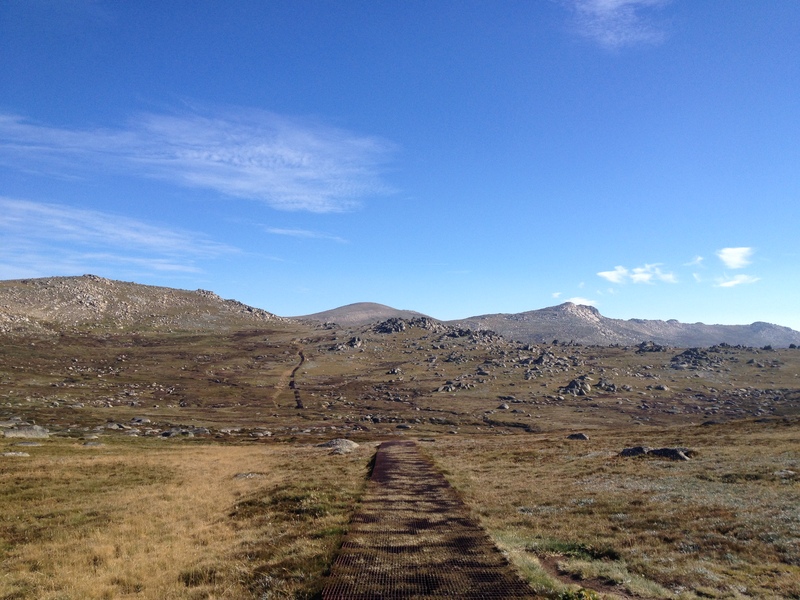 In walking from Thredbo to Kosciuszko, I followed in the steps of thousands who have walked that way before me. The walk is ‘paved’ by a raised metal walkway, designed to keep walkers off the vegetation and to impede the flow of water as little as possible. I only saw one person stray from the beaten track, into the boulders near the Kosciuszko Lookout. I left early enough to beat the crowds on the way out, but on my return passed dozens of teenagers, some cheerful, others looking mutely resentful at the prospect of the climb ahead of them. Across the alpine landscape towards the Main Range and Kosciuszko. On the return trip I stopped by the small creeks that are the headwaters of the Snowy River. I have spent so much of my life in the foothills of Australian mountains in Victoria, but if I ever previously visited the Snowy, it was when I was very small and I have no recollection of it. It seemed important to stop by the water and notice it: the beginning of a great river, albeit one that is dammed and diverted and changed beyond all recognition from its ancient past. This work by equineocean is licensed under a Creative Commons Attribution-NonCommercial-NoDerivs 3.0 Unported License.